At Uni Windows we understand that everyone’s taste is different. 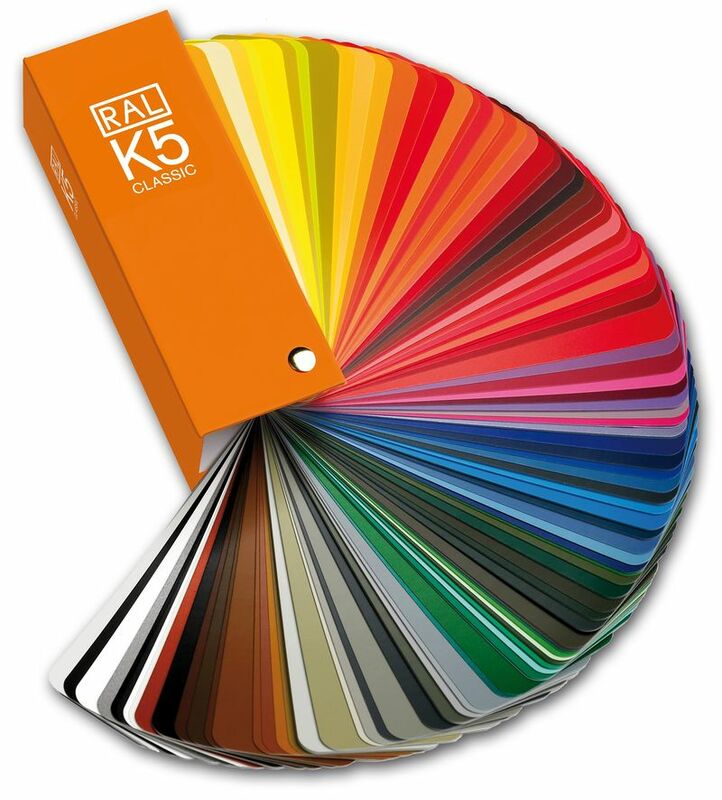 That’s why we can pre-finish the paint colour of your windows to any colour from the internationally recognised RAL colour chart. We can even finish the windows with a different colour inside and out. 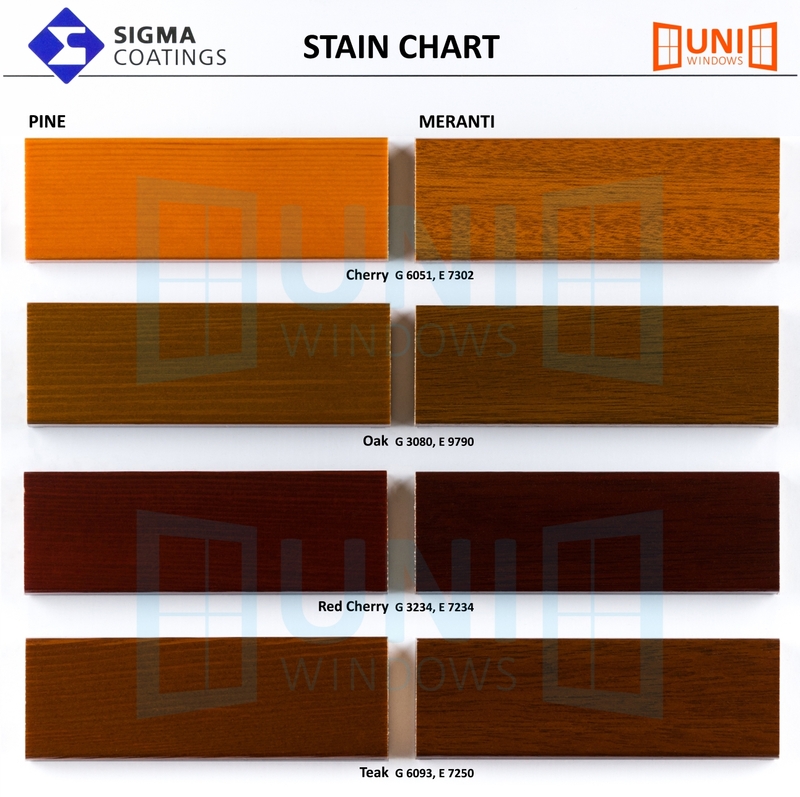 We can also use the Sigma four layer varnishing system if you prefer to keep the natural look of the timber framed window. 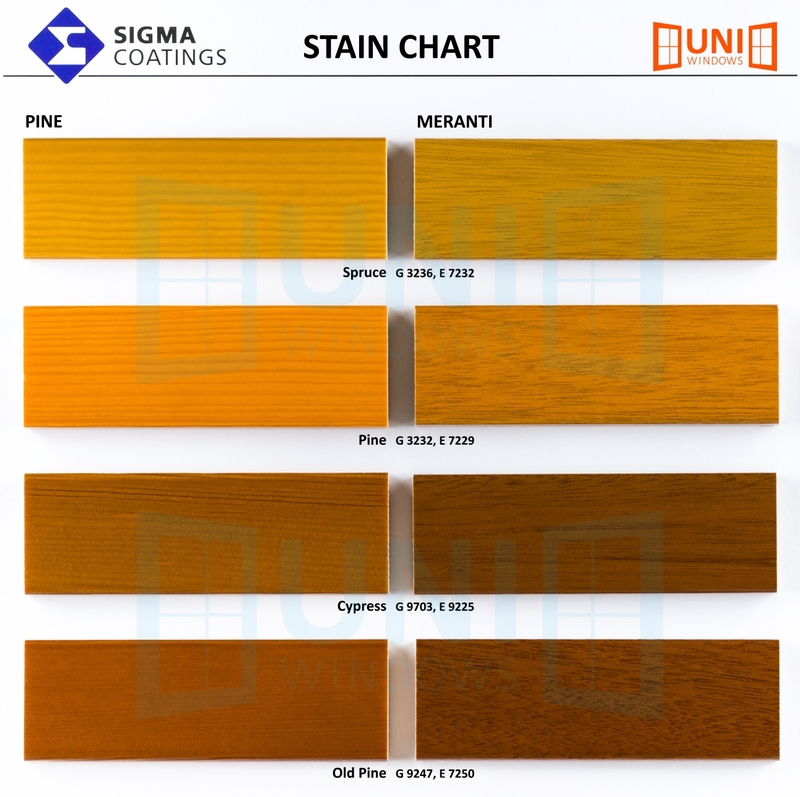 We use a four layer coating process which gives a perfect finish and will increase the lifespan of the product. We can offer a 5 year warranty on our products which can be extended to 10 years with a maintenance service. 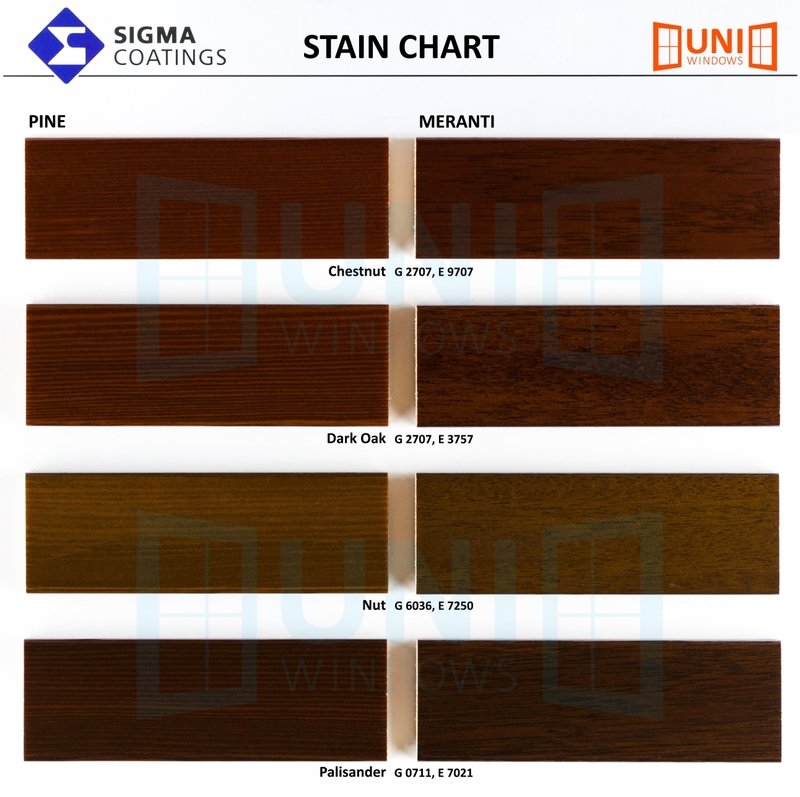 Deep impregnation: Deep impregnation protects the wood from mold, fungi, bacteria and wood-destroying insects. Basic dipping: Removes any dirt and loose materials that could affect the finish.